It has been quite some time since Mediatek announced the Helio X 30 processor. But until now there has been no smartphone in the market sporting the Helio X 30 Processor. It seems the company Doogee is all set to become the World's first company to unveil the flagship phone with Helio X 30 processor. 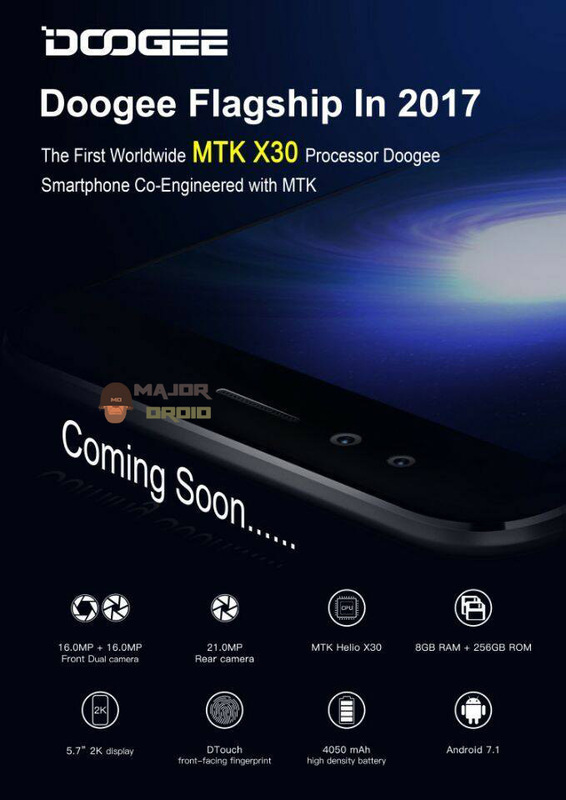 There is no clear information on the release date but it is touted Doogee to release the smartphone this year. Apart from the processor Doogee flagship phone packs impressive specifications and features. The flagship phone is betting large on the cameras as it sports 16 MP dual front cameras and 21 MP rear camera.